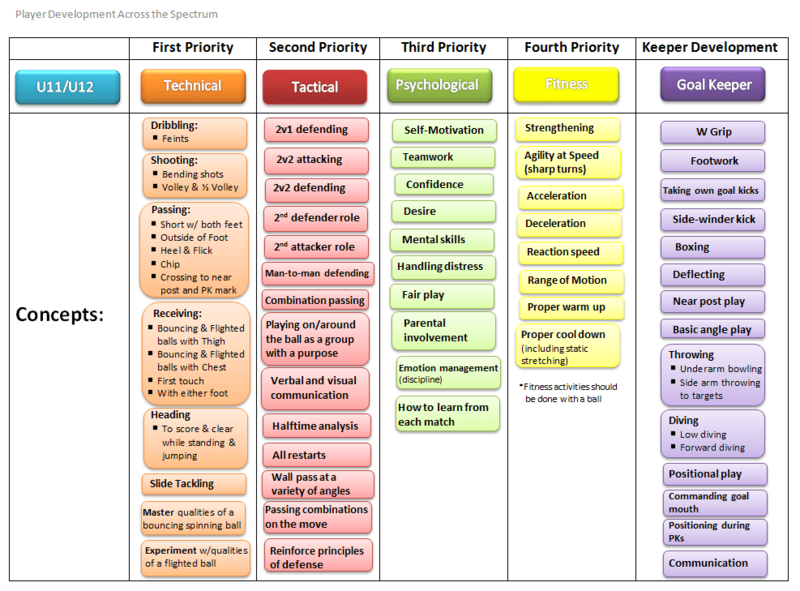 These are the key areas of development for the U11/U12 age group in each of the four components of player development (Technical, Tactical, Fitness, and Psychological). Age specific resources below chart. Based on US Youth Soccer development objectives, as outlined in the Player Development Model and Skills School. Both documents are available in full under the Resources tab of the Player Development section of the ASC website.